Professional skin care is available in most areas today, but you also need to be knowledgeable about skin care tips to help you keep your face fresh all year. This winter, be sure to update your skin care routine for the season. Dropping temperatures and dry air can really have a dramatic effect on your skin so it is imperative that you take care of it. Start by ingesting the right vitamins to improve your skin. There are also a number of different types of products you can invest in to keep your skin glowing this year. Applying products with vitamin C can help you look younger by evening out your skin tone. Cleansers and moisturizers can help you build up your skin’s barrier. Gentle creams with collagen or vitamin B3 can also be beneficial. Try anti-aging skin care that can treat the skin the way your genes need. 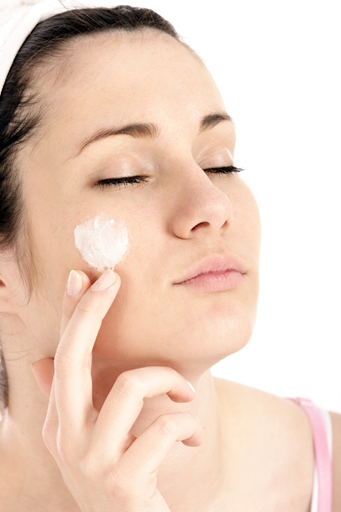 Be careful not to overuse products like retinoids or alpha hydroxy acids (AHAs) that can fade lines. These products can unfortunately also cause extra dryness. As mentioned before, skin care involves more than just using products. Watch your diet as well to improve your skin. Foods with fatty acids are very good for the skin. Keep your lips protected by wearing balm. Make sure yours has sunscreen in it. You should even use sunglasses during this time of year to prevent things like crow’s feet. All of your skin is important, not just your face. Don’t forget to protect the skin on your hands by wearing mittens. Moisturize your feet also to reduce calluses and bruises. Practice these good habits for you at home skin care, and you’ll surely be more satisfied with how your skin stays maintained during this winter. Skin care is a continuous process, and it helps to know how to protect yourself and what skin care products are best to help you have nice skin. It also helps to find the right acne and skin care clinic around Folsom, CA, like The Healing Station. To get some expert advice and professional skin care treatment give us a call today at 916-294-9980. You can also book yourself an appointment by visiting our website and Scheduling Online at www.TheHealingStation.net .